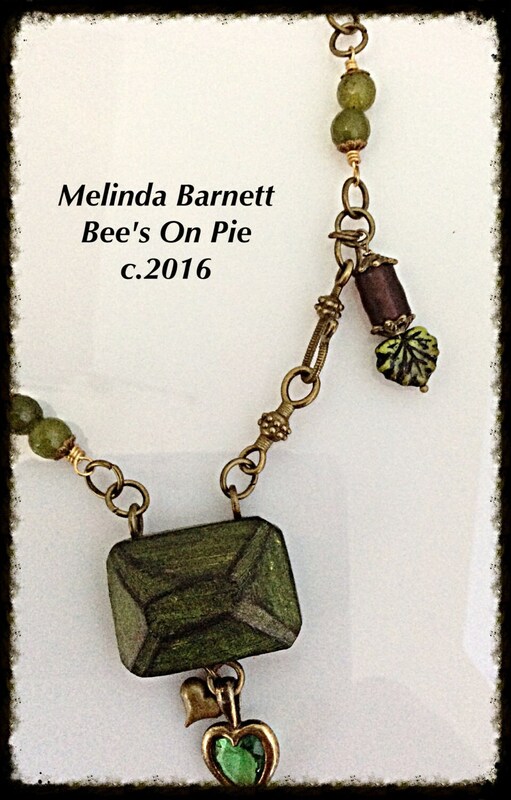 Rough-Hewn Wooden Gemstone Necklace by Melinda Barnett, Bee's In Pie. 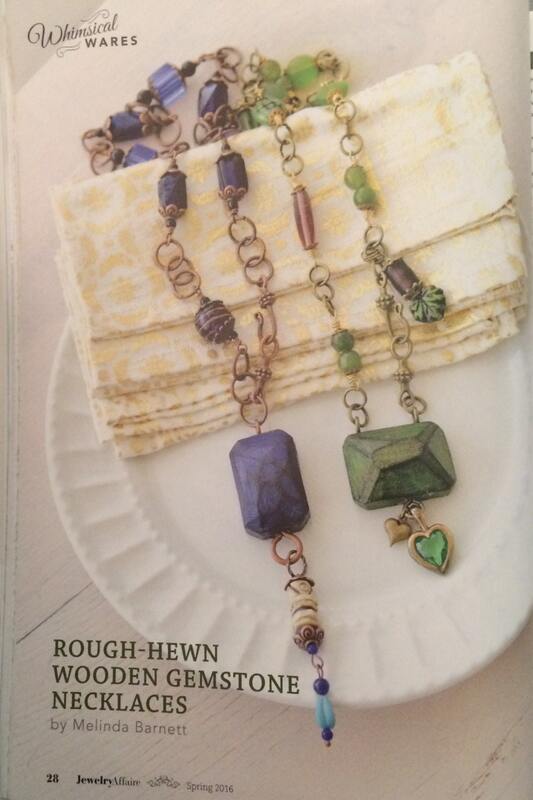 Featured in the April/May/June issue of Jewelry Affaire. The beads are a mix of glass, stone, and ceramic. 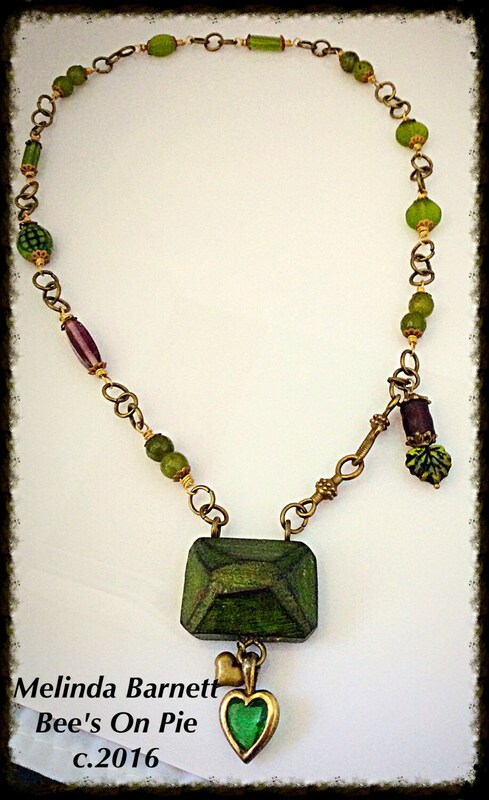 The wooden "gemstone" was made by hand from a block of wood. It was then painted black, finished with green paints and waxes, and sealed. 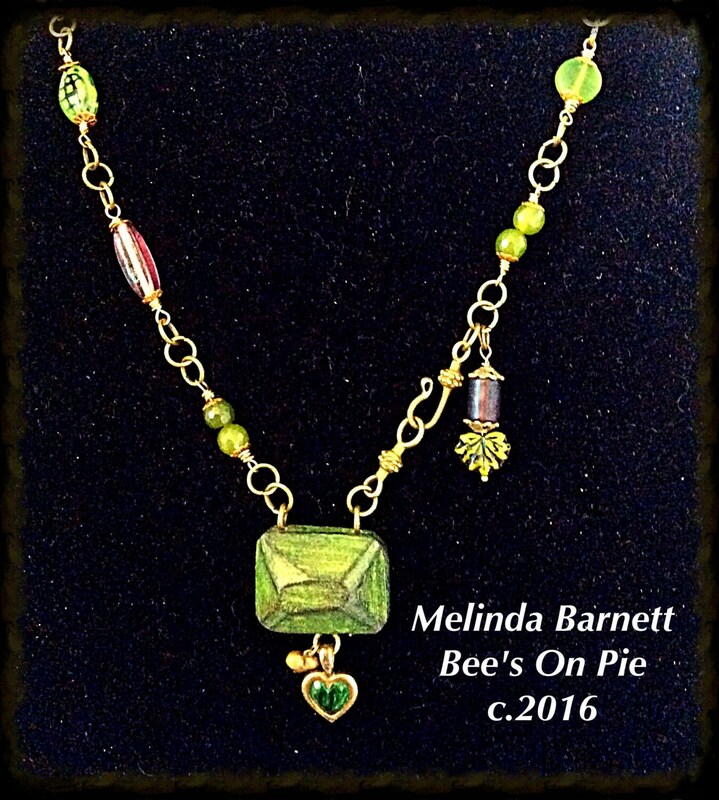 These pieces were inspired by my friend's Dad's handmade Christmas ornaments. The little green heart at the bottom is vintage.